Recent research has shown the potential of Virtual Reality (VR) in the field of rehabilitation, namely neurocognitive rehabilitation. This technology will certainly revolutionize the rehabilitation of the future. Its advantages include greater ecological validity than conventional rehabilitation methods, provision of safe contexts for learning/training, the possibility of programs to be contingent on patient performance, with increasing levels of task difficulty and provision of immediate feedback, and the use of a “game factor” that promotes motivation for participation. These are important aspects in the rehabilitation of patients with acquired brain injury. Patients with this and other types of neurological injuries endure cognitive deficits that cause difficulties in independent functioning and daily-life activities. Their rehabilitation calls for systematic intervention programs that are theoretically grounded and use innovative approaches to their advantage. 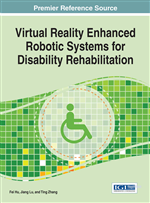 In this paper we present a review about the advantages of VR in the generalization of acquired skills to real-life contexts, to promote patients' functionality and quality of life, and propose an innovative program of neurocognitive rehabilitation. Research in the field shows positive effects of VR programs, but urges progress in terms of the development of techniques (e.g., facial synthesis and of more research on the impact of these interventions. Future studies should also explore the existence of neuro-anatomical correlates of behavioral changes, contributing to the investigation of the relationship between neural plasticity and behavior and providing evidence for clinical practice. Cognitive rehabilitation refers to the “therapeutic process of increasing or improving an individual’s capacity to process and use incoming information so as to allow increased functioning in everyday life.” (Sohlberg & Mateer, 2001, p. 3). It should desirably be part of a more extensive neuropsychological rehabilitation process that simultaneously includes the person’s cognitive, social and emotional dimensions (Ben-Yishay, 1978; Prigatano, 1986). Consequently, its main goal is the improvement of the person’s quality of life (Prigatano, 1999; Sohlberg & Mateer, 2001).